The horror genre is one that definitely sees its fair share of innovation attempts, with every author dreaming of being able to instill in the reader the kind of cold and gripping fear very few writers are capable of producing. Clive Barker is today known as perhaps one of the most acclaimed icons in horror literature, walking right alongside giants such as Stephen King himself. 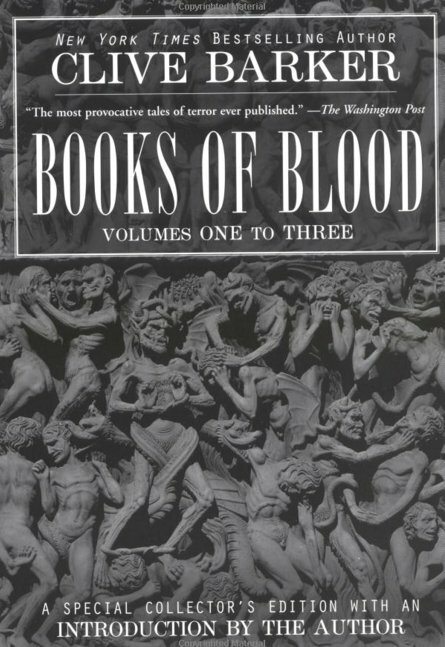 However, every author, even the legendary ones, have a beginning at some point in time, and Barker's was the Books of Blood, a collection of short stories that changed the landscape of horror literature. 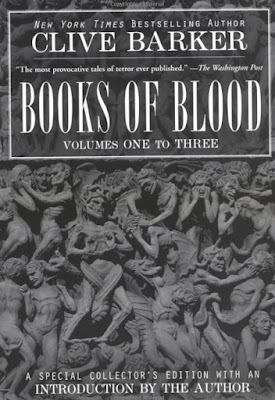 In this edition of the book, the first three volumes are brought together in a single work, including classic stories such as The Midnight Meat Train, Pig Blood Blues, In the Hills, The Cities , Dread, The Skins of the Fathers, New Murders in the Rue Morgue, Son of Celluloid, Rawhead Rex , Scape-Goats, Human Remains, and a few others. For those who are unfamiliar with the works of Clive Barker, the stories he tells mix both physical and psychological horror, albeit often concentrating a bit more on the former one. Whereas authors like Lovecraft prefer to slowly torture their characters with ominous mysteries and the unknown, Barker doesn't shy away from depicting horrifying and gruesome scenes in all of their terrifying glory. Rest assured, there is quite a bit of cruelty, violence, and general hatred to be found across Barker's stories, and they definitely aren't for the faint of heart. Various inhuman monsters and disgusting yet powerful creatures make of the main antagonists of his stories, at least for the most part. We often look up at geniuses with utmost admiration and place them on all kinds of pedestals, dreaming of an alternate life where we are also powerfully-gifted in one way or another... and not without reason. It goes without saying that geniuses of all kinds are strong driving factors in technological, economic, social and spiritual progress, constantly pushing the boundaries and achieving what was thought impossible. However, what most people in this world ignore is that things seldom come for free, and such a wondrous gift as being a genius often demands a heavy price to be paid, one Ethan Canin explores in A Doubter's Almanac. Sitting on death row may very well be one of the most unnerving experiences available to the human being... especially when it can take years upon years, if not even decades to finally make the execution happen. The experience is all the more excruciating when the one facing the gallows could very well be innocent... something that has happened more than once. 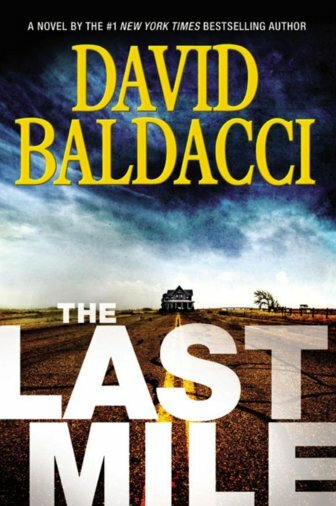 In The Last Mile, David Baldacci confronts with a similar scenario, one soaked in uncertainty. 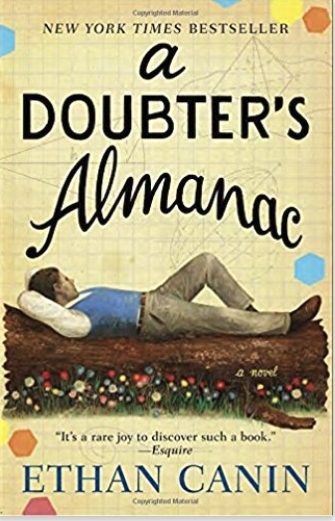 We are once again presented with Amos Decker, detective extraordinaire who forgets nothing in his life, failures and embarrassing moments included. He once had a promising career in football that was cut short by a tragedy, his family was brutally murdered years after which a man suspiciously stepped forth to claim responsibility for the crime. And now, Decker gets wind of the curious case of Melvin Mars, a man convicted of murdering his parents in cold blood twenty years ago. Shockingly enough, mere hours before his execution, Melvin is reprieved as a man confesses to the murder... and whether or not he is telling the truth is highly doubtful. And as coincidence would have it, Melvin too was a promising football star until tragedy struck. The life of Court Gentry was nothing short of perfect and exciting, at least when looking at his career. He was the best agent the CIA had, and was damn proud of it, being able to accomplish the types of missions nobody even knew existed. However, the fateful day came when a mission was to be his last; a mysterious and sudden betrayal left him disgraced, with the agency putting a “kill on sight” order on him. 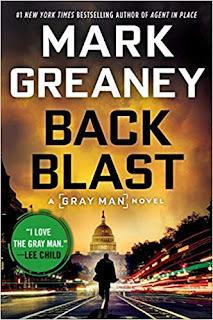 This led to the birth of a ruthless and feared international assassin, known only as the “Gray Man”. Court worked for himself for many years, but decided that living with the truth obscured by thick shadows wasn't an option. And so he returns back to Washington, hoping to uncover the whole truth about his last mission, who betrayed him and why. Needless to say, the “kill on sight” order still stands very strong... but that doesn't deter him from setting off to interrogate a list of men responsible in one way or another for the mission. There is, however, a hidden danger that Court hasn't realized: the consequences brought on by the mission are far from being over or forgotten. There are many people tied to the thing, and they would much rather keep a lid on the operation and the questions it gave birth... for they will do anything to prevent their powerful secret from being spilled out into the open. With the sights set on him, Court must evade the killers on his trail while going on his own hunt, for the truth that can never be kept from men like him. The personalities which colour our beings are things constantly subject to change and even complete metamorphosis, depending on the facts and philosophies we learn as well as the events we experience. In many cases, people remove themselves further and further from what they would refer to as their true natures, becoming products of their experiences rather than their own being. 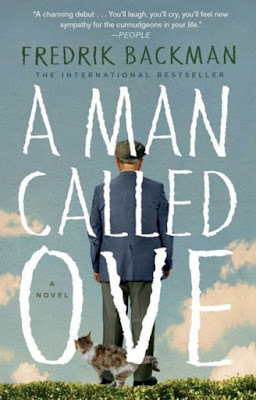 In A Man Called Ove , Fredrik Backman introduces us to just such a gentleman, the titular Ove, a 59-year-old widower whose bitterness marks his orderly days. With Ove having recently retired after spending over thirty years at the same job, his life focuses entirely around his home and neighborhood complex, which he decided to take under his wing and enforce all the rules and regulations. His neighbors see him as a difficult, bad-tempered, bitter and inflexible man whose natural state of being is grumpy. He has even quarreled with his best friend many years ago and has been rather lonely since his wife's death, barely having contact with other people. Nomadic lifestyles are far less prevalent today than in the past, something that is increasingly true the further back we look. However, there are those who, even with all of the advantages modern technology and society brings, prefer to stay on the move, travelling from one place to the next, and basically living life on their own terms. 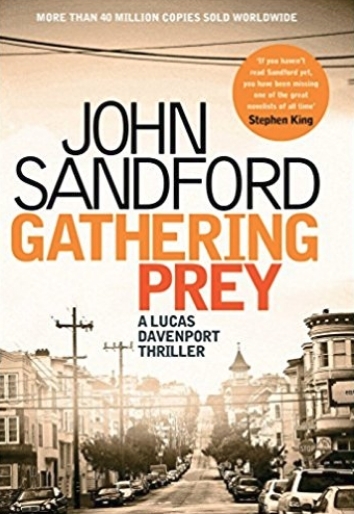 In some places of the world these people are referred to as “Romani”, others describe them as “gypsies”, and in John Sandford's Gathering Prey, they are called “the travellers”, and play a central part in a madman's killing spree. 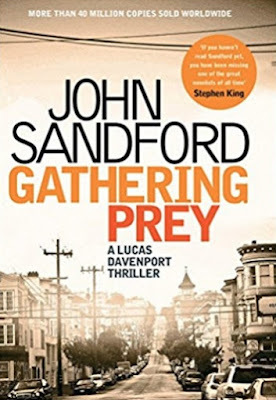 Being part of the “Prey” series, Sandford's book brings into the picture once again Lucas Davenport, as well as his adopted daughter Letty. The latter one day encounters some of the afore-mentioned travellers and helps them out with a bit of food. At that moment, they tell her about Pilate, who for lack of a better word is the second coming of Charles Manson. Having his own cult of around twenty men, Pilate is known as a bloodthirsty savage, and lately it seems that he, or someone close to him, has taken to murdering the travellers. Not so long ago the world had the great misfortune of losing a recognized and gifted writer in Kent Haruf, a man whose novels have turned countless heads and mended innumerable hearts. Though it seemed that his career would come to an end, he reached out from beyond the grave one last time to bring us his final novel, Our Souls at Night. 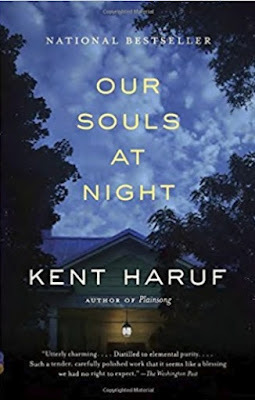 The story is set in the same town Haruf has used in his previous works, that of Holt, Colorado; a small town on the High Plains where everybody knows everything about everyone else. We are introduced to two old and lonely souls: Louis Waters and Addie Moore. The former has lost his wife many years ago while his children live many hours away, and the latter is also a widower herself. They both spend their evenings in calm loneliness, seemingly content with quietly living out the rest of their days. On a faithful evening, Addie comes up knocking to Louis' door and asks if he'd like to spend the nights with her, talking and sleeping; despite living only a block away for decades, they had never gotten to really know each other. 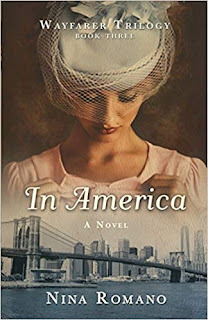 At first taken aback, Louis agrees and begins spending the nights at Addie's house, with their relationship progressively blossoming... much to the town's disapproval, as well as Louis' son. The hardships of life come in countless forms, and the remedies prescribed for them are even more numerous, ranging from plants and oils to meditative exercises to aromatherapy and so on and so forth. However, when it comes to problems of the heart (metaphorically-speaking) or the mind, there are few things in this world that can equal the healing potential of literature. It can take us away to different worlds, help us find new ways to interpret our situations, and give us advice on how to proceed in difficult situations. 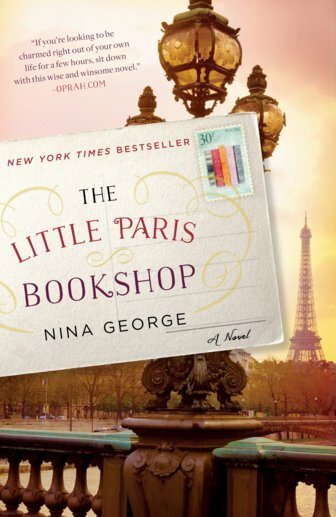 In The Little Paris Bookshop by Nina George we are introduced to Monsieur Perdu (“perdu” stands for “lost” in French) who has a very peculiar business: a bookshop on his barge. However, he isn't just any kind of librarian... rather, he fancies himself as a literary apothecary. People come to him with their souls wounded and hearts broken, and he aims to mend them using his intuition in picking out the precise books that will help them turn things around. For all the people he has managed to help over the years though, Perdu has never quite been able to heal his own wounds, left years ago when the love of his life disappeared leaving only a letter... one he never opened, until today. After reading it, Perdu decides it is high time to reach the story's conclusion, and sets sail to southern France in the company of a famous but blocked writer and an Italian chef whose love has gone unrequited. There are many ways to go about imagining the post-apocalyptic scenario, and most people tend to see it as a relatively desolate wasteland. However, there are authors out there who envision the fall of man to be something more gradual, eventually spiralling out of control into increasingly vile decadence, giving rise to violence, hatred, social class divisions, diseases, and ultimately, extermination. Paolo Bacigalupi takes us to such a universe in his acclaimed novel The Windup Girl. 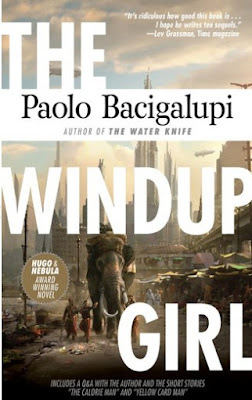 In the world Bacigalupi has meticulously crafted, we are in the near future, one where calories have become the main currency while the world is being ravaged by the bio-engineered plagues that run rampant on Earth, created for the profit of the elite. A world in a state of continuous falling, one where the division between the rich and the poor is an ever-growing schism reaching sickening proportions. In this world, we are introduced to two characters, the first one being Anderson Lake, a man sent to Bangkok in order to be an undercover factory manager while searching the streets for foods believed to no longer exist. The second character is the titular Windup Girl, Emiko. She was engineered and programmed to satisfy every decadent desire of a Tokyo businessman, but has now found herself abandoned on the streets of Bangkok, clueless, without any direction to go or idea of what to do, with some regarding her as a being without a soul, while others see her as the devil himself.